Chelsea Flower Show in London, England: The world’s most prestigious flower show takes place on the banks of the Thames in The Royal Hospital Chelsea grounds in the last week of May each year. As both a showcase for garden design and a virtuoso display of horticultural skill, it draws 157,000 blossom-smelling folk from across the world. At the heart of the show is the Great Pavilion, where you’ll this huge undercover space packed with spectacular flowers and brilliant exhibitions, while the world’s greatest green thumbs compete for coveted medals. Bloemencorso in Zundert, the Netherlands: The Bloemencorso, a Dutch word that translates to ‘flower parade’, is held in many towns across the Netherlands and Belgium. The parade itself is one of gargantuan proportions, made up of floats, cars and in some cases boats, all magnificently decorated or covered in flowers. However it’s the Zundert event that wears the crown as the largest flower parade in the world, taking place on the first Sunday of September. While each parade has its own character and theme, in the Bloemencorso Zundert, only dahlias are used to decorate, taking thousands of them just to cover one float. Canadian Tulip Festival in Ottawa, Canada: What started as a gift from the Dutch Royal Family in 1945, has turned into one of Ottawa’s most iconic experiences. The story goes, 100,000 tulip bulbs were sent to Ottawa as a thank you after Canada offered Dutch Princess Juliana and her three daughters a safe haven during the Second World War when Nazi forces occupied the Netherlands. 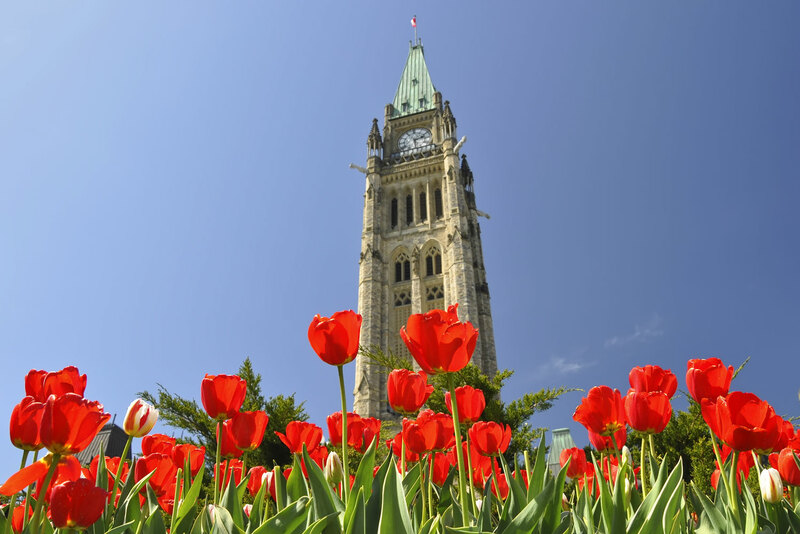 With more bulbs added every year to the city’s great floral spectacle, it’s believed over one million bulbs now bloom throughout the Ottawa’s Tulip Route in May, attracting over 500,000 visitors annually. Cherry blossoms in Yoshino-yama, Japan: Anyone traveling to Japan in the springtime is sure to experience the country’s world-renowned cherry blossoms, also known as hanami (or flower viewing). While cherry blossoms bloom throughout the country, there are a few cities and regions famous for their hanami festivals. Among them is Yoshino-yama in the heart of the Nara Prefecture, which has been regarded as Japan's most famous cherry blossom viewing spot for centuries. It’s said that the first trees were planted along its slopes more than 1300 years ago, and today the mountain is covered by over 30,000 cherry trees of many varieties, especially the Yamazakura. Portland Rose Festival in Oregon, USA: Portland’s climate is ideal for growing roses, which start to bloom in April and peak in June. You can see and smell thousands of roses at Portland's popular International Rose Test Garden, which is one of dozens of unique parks and gardens scattered across the city. It’s not all petals though – the month-long event also features live bands, a treasure hunt, fun run, art exhibitions and stage performances. It’s time to stop and smell the roses (or tulips, or cherry blossoms, or whatever flora takes your fancy), because these world-renowned flowering spectacles smell as good as they look. 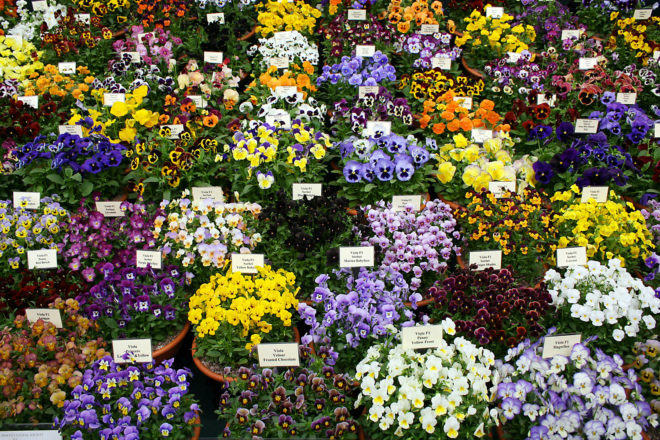 The world’s most prestigious flower show takes place on the banks of the Thames in The Royal Hospital Chelsea grounds in the last week of May each year. As both a showcase for garden design and a virtuoso display of horticultural skill, it draws 157,000 blossom-smelling folk from across the world. At the heart of the show is the Great Pavilion, where you’ll this huge undercover space packed with spectacular flowers and brilliant exhibitions, while the world’s greatest green thumbs compete for coveted medals. Cherry blossoms in Yoshino-yama, Japan. Anyone traveling to Japan in the springtime is sure to experience the country’s world-renowned cherry blossoms, also known as hanami (or flower viewing). While cherry blossoms bloom throughout the country, there are a few cities and regions famous for their hanami festivals. Among them is Yoshino-yama in the heart of the Nara Prefecture, which has been regarded as Japan’s most famous cherry blossom viewing spot for centuries. 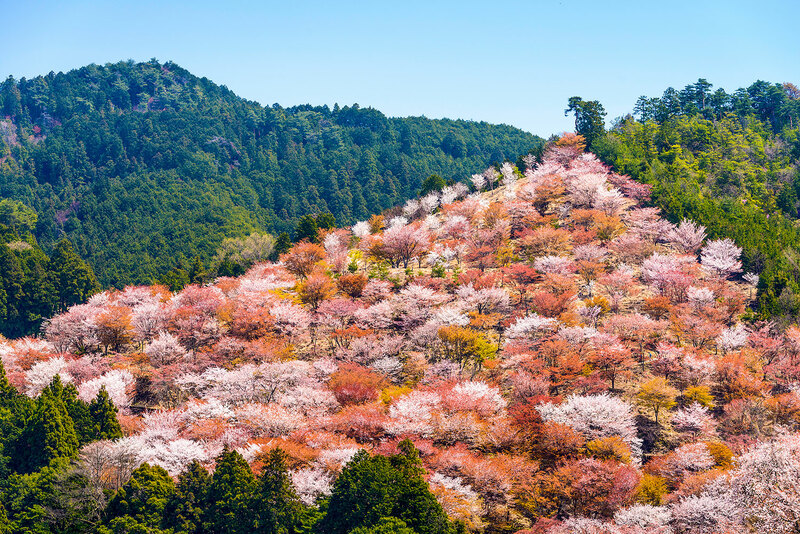 It’s said that the first trees were planted along its slopes more than 1300 years ago, and today the mountain is covered by over 30,000 cherry trees of many varieties, especially the Yamazakura. Portland Rose Festival in Oregon, USA. 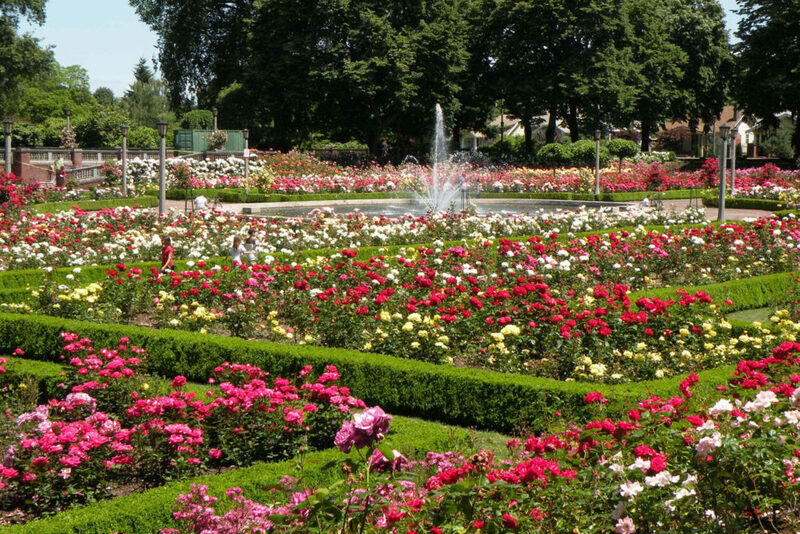 Portland’s climate is ideal for growing roses, which start to bloom in April and peak in June. You can see and smell thousands of roses at Portland’s popular International Rose Test Garden, which is one of dozens of unique parks and gardens scattered across the city. It’s not all petals though – the month-long event also features live bands, a treasure hunt, fun run, art exhibitions and stage performances. Bloemencorso in Zundert, the Netherlands. The Bloemencorso, a Dutch word that translates to ‘flower parade’, is held in many towns across the Netherlands and Belgium. The parade itself is one of gargantuan proportions, made up of floats, cars and in some cases boats, all magnificently decorated or covered in flowers. However it’s the Zundert event that wears the crown as the largest flower parade in the world, taking place on the first Sunday of September. 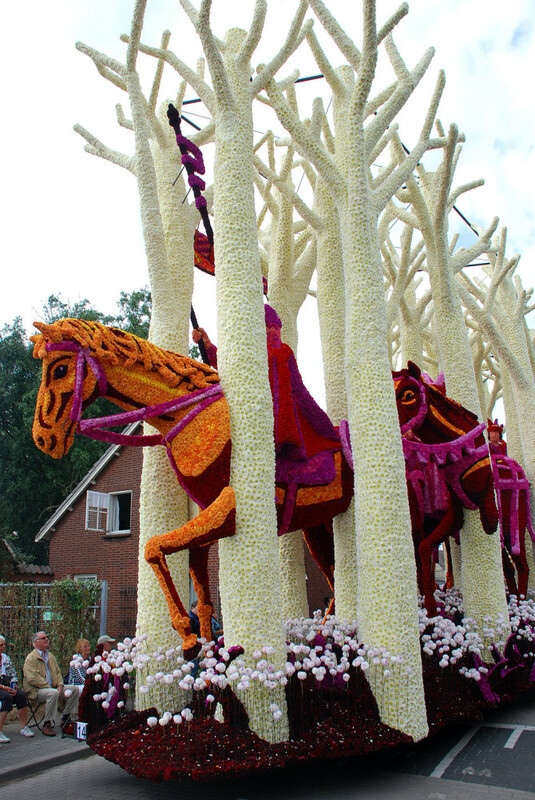 While each parade has its own character and theme, in the Bloemencorso Zundert, only dahlias are used to decorate, taking thousands of them just to cover one float. Canadian Tulip Festival in Ottawa, Canada. What started as a gift from the Dutch Royal Family in 1945, has turned into one of Ottawa’s most iconic experiences. The story goes, 100,000 tulip bulbs were sent to Ottawa as a thank you after Canada offered Dutch Princess Juliana and her three daughters a safe haven during the Second World War when Nazi forces occupied the Netherlands. With more bulbs added every year to the city’s great floral spectacle, it’s believed over one million bulbs now bloom throughout the Ottawa’s Tulip Route in May, attracting over 500,000 visitors annually. To mark the end of Valencia’s month-long Feria de Julio (July Fair), Batalla de Flores is a traditional fiesta brimming with cultural and entertainment events. It starts with a long parade of elaborate floats pulled by horses and filled with young girls dressed in costume to reflect the theme of the float. After a few route of the parade route, the light-hearted blossom battle breaks out. Onlookers and float crew alike pelt flowers on each other and generally make merry. The girls even equip themselves with tennis rackets to defend the attack. You need to check out Medellin’s flower festival. Amazing! !